Easy and great guide! Would use again. Great stories and very informative! Every stopping point had something special to offer! Very entertaining!! 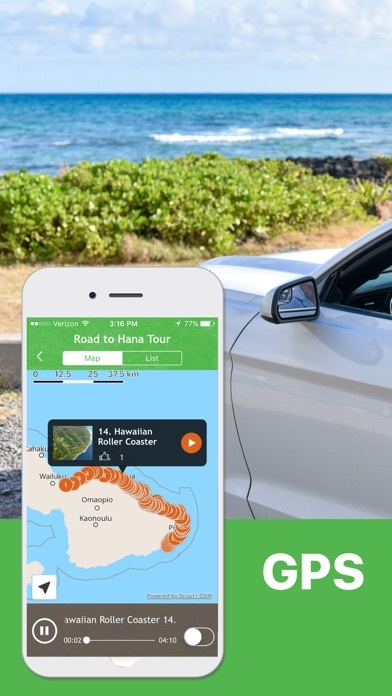 The Shaka Guide app is worth every penny for the Road to Hana adventure. A very calm yet energetic voice that gives fun stories between stops to help enrich the journey with some Hawaiian culture. SUPER HELPFUL on where NOT to stop and which ones you NEED to see. We used it for a one day to-and-back from Lahaina and the only thing we missed seeing was Nahiku because of time restrictions. Don’t worry, there’s plenty to see, and you won’t have regrets! This was an excellent way to tour West Maui and the Reverse Road to Hana! Lots of information given, as well as specific directions to see amazing sights that we would have missed otherwise! 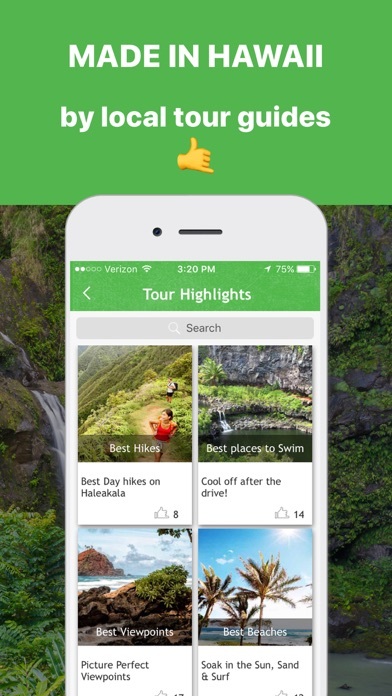 I highly recommend this app and its tours! 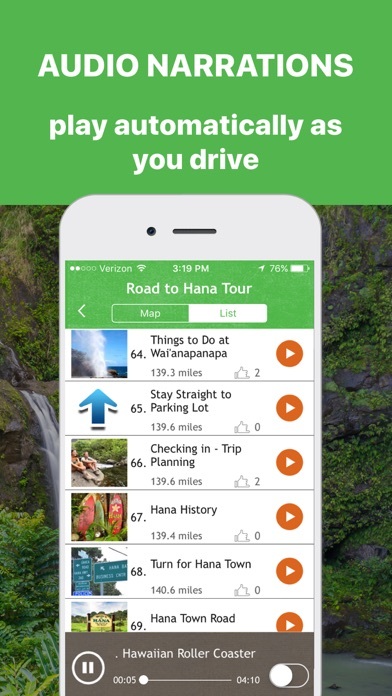 First time to Maui from Oahu..heard about this app from a friend... did the road to Hana and it DID NOT disappoint. 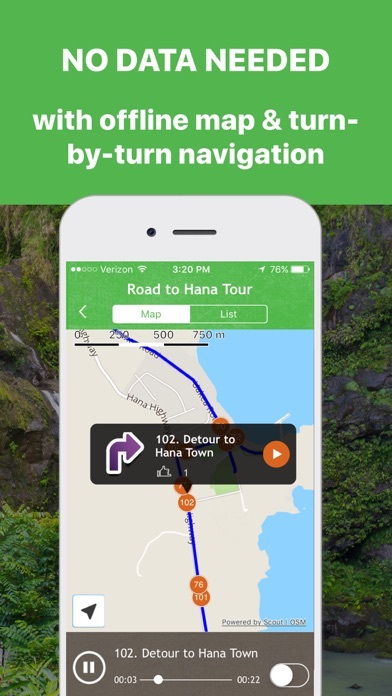 We were blown away by the accuracy and awesome points of interest Shaka Guide provided. We will definitely be using this guide on the other islands and will DEFINITELY be back to Maui to use on Haleakalā. The app was perfect about telling us what we could skip, what we needed to see, and shared secrets and stories other folks we talked to that didn’t use the app missed out on. The myths and stories were a huge bonus to keep our minds occupied between interesting points in the drive and the added music really added to the island vibe. So so so worth it. Also, go ahead and get the package. We did and we ended up taking those tours just because we liked Hana so much. Otherwise we were going to skip driving the Westside and Haleakalā. Shaka was like having our personal guide for our trip to Hana giving us expert tips along the road to Hana.